More news coming for co-op fans straight out of Comic-con. This time it's regarding some upcoming additions to the lofty Halo franchise. First up is Halo Waypoint. Described as the "a new destination for "Halo" fans on Xbox LIVE", it sounds like a channel devoted to Halo news, trailers, screenshots, and the like. A career system with ranking based on both in and out of game goals should keep Halo fans busy. Another announcement is Halo Legends, a series of animated shorts set in the Halo universe. Some of the most acclaimed anime producers will be involved in the series. You can check out a preview of Halo Legends on XBox Live today. Of course, the series will be made available via Halo Waypoint. This causes me a great moral dilemma. My youngest son loves "Master Halo" (as you may already know), and seeing him in cartoon form would likely blow his mind. 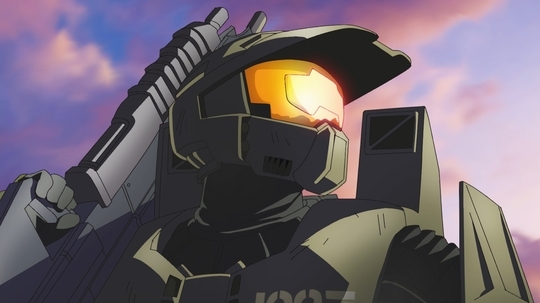 Is there any chance the Halo anime will be remotely kid friendly? I suppose I better hold off telling him about it until we know for sure. Parenting: it's tougher than mowing down aliens in a Warthog. Page created in 0.5245 seconds.